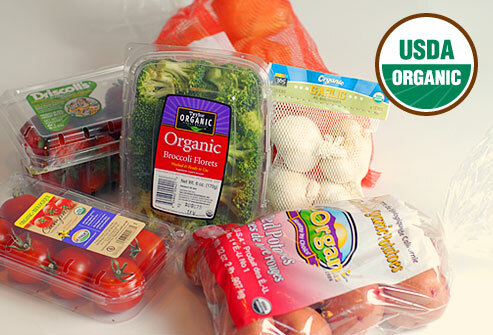 So what are organic foods? They are usually crops, meat or other animal products (milk, cheese, honey) which have been produced without the use of synthetic pesticides and fertilizers, as well as genetic modification and certain preservation techniques such as food irradiation. Also the meats and animal products are produced without the use of antibiotics and growth hormones. Organic farming was pioneered in the early part of the 20th century based on the unproven idea that chemical pesticides and fertilizers supposedly had a negative effect on flavors and nutritional values of foods. Over the years, organic farming has grown into a huge business based on the supposed health and flavor benefits, but also on the the potential benefits that organic agriculture may have on the environmental impact of agricultural chemicals. In addition, there is a lot of concern about the persistence of pesticides on our food sources. Governments usually set standards for foods to be legally sold as organic. In some countries, the regulatory role is taken on by non-governmental agencies. The Soil Association performs such a function in the UK, while the European Union sets its own rules for organic certification. In the United States, the USDA does have a certification program (which still allows pesticides), but so long as the food does not use the USDA Certified Organic logo, it can be sold as “organic” without any regulation. For many people who purchase organic foods, the USDA’s idea of organic is probably not organic. Therefore, some people rely upon individual organizations or states to set standards. California’s Certified Organic Farmers sets its own rules for organic certification, which appear to be quite complex and rigorous, but if you were seeking out an organic tomato in your local grocery store, would you know if it met one standard or another? This is a major problem with organic foods. Who knows if they’re really organic. Two studies included in the review reported significantly lower urinary pesticide levels among children consuming organic versus conventional diets. However, the studies made no indication whether there was any clinical significance to this result. In other words, there is some very slight evidence that the foods are safer. But mostly, the evidence was equivocal or nonexistent. Given the higher cost of organic foods, it’s hard to come up with a cost:benefit equation that is convincing, especially if you can’t develop a realistic clinical risk from small pesticide contamination, although some may argue no pesticides is the best level. But what if simply washing the fruits and vegetables removes most of the pesticides and other chemical contaminants? That reduces any risk that might be of concern with conventional produce. And since we are supposed to thoroughly cook poultry and pork, don’t we reduce the risk of bacterial contamination? If we can reduce the the minor risks of chemical and bacterial contaminations from organic agricultural produce and we derive no known nutritional benefits from them, then why are we paying so much more for it? There are a few reasons, which are really dependent upon person feelings. Green. An argument can be made that organic farming is better for the environment, and better for global warming. Support small farmers. Sure. Again, the cost is going to be higher, and this does limit these foods to a certain upper class of people who can afford the food. Remember, large agribusiness does drive costs of food down, so that larger numbers of people can afford food, which is a separate discussion. It is sad that the perceived quality of food goes down as prices go down. The recent review of organic vs conventional produce agrees with previous systematic reviews that there is insufficient evidence to conclude that organic produce is healthier or more nutritious that conventional produce. Despite the scientific evidence, the alleged health benefits of organic produce is the number one reason given by consumers for buying organic. This likely represents the triumph of marketing over scientific reality. Hey, let’s connect the dots. Big marketing programs triumph over science. And a big chunk of organic foods are sold by Big Agriculture. Oh wait, I get to make one of those strawman arguments like the vaccine denialists make! This was fun. But seriously, if you’ve got the money, go ahead buy some organic produce. It’s just not going to do much for you.